This article applies only to teachers with existing Google Classroom accounts. If you're looking to integrate your LMS with PlayPosit, please view one of these help articles. 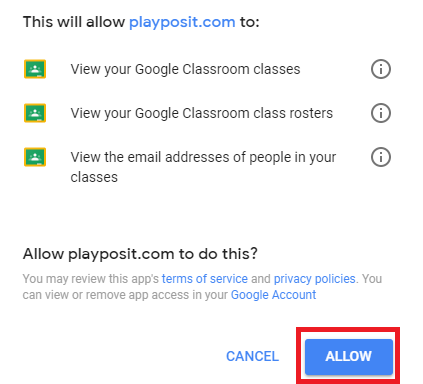 Note: PlayPosit does not export grades to Google Classroom. It only pulls in student rosters and class details. From the dashboard, click first on your name and then Profile. Scroll down and select Sync with Google Classroom. 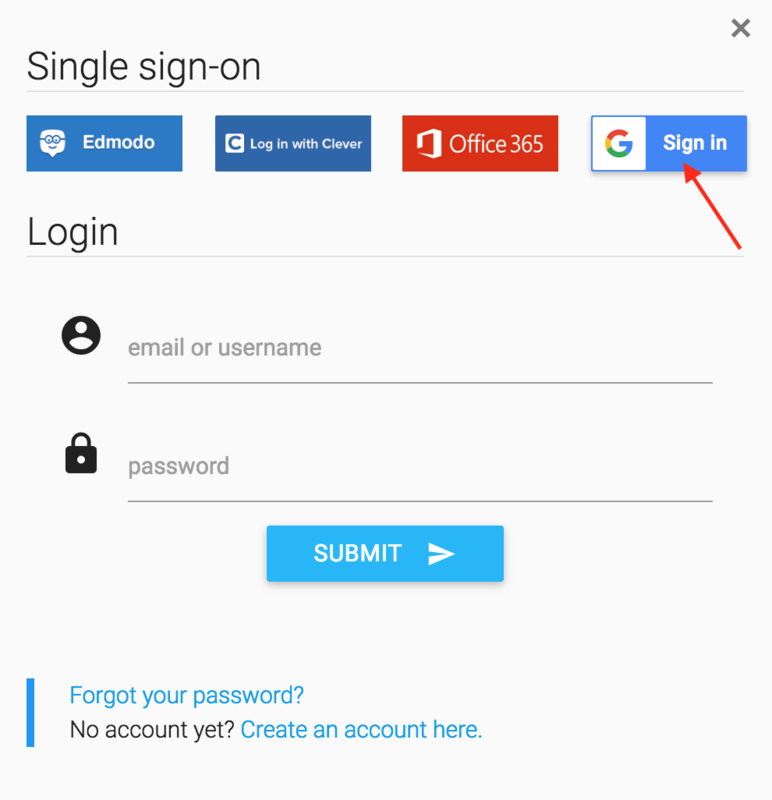 Allow PlayPosit to sync with your Google account. Note: Prior to syncing data from Google Classroom, make sure that you have already created a class within Google Classroom and added students to that class. The following process of syncing data will import that class into PlayPosit. 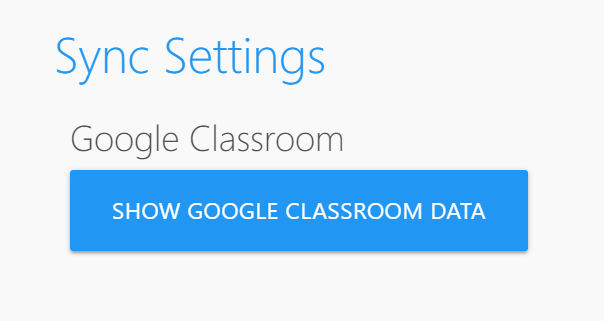 In your User Profile under Sync Settings, select Show Google Classroom Data. This should show all classes that you have created in Google Classroom. Click Sync next to the class you want to import to PlayPosit. 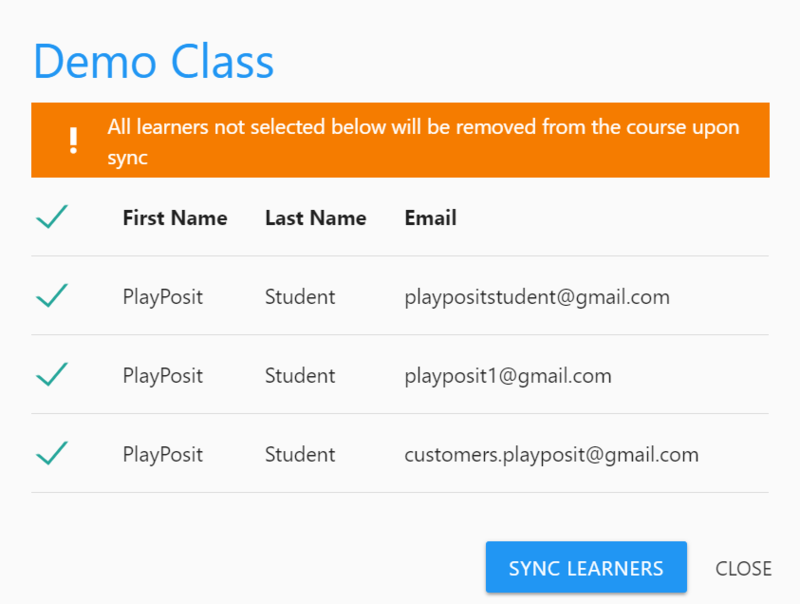 Select all of the students for whom you'd like to sync grades and click Sync Learners. You should receive a nav confirmation that your class synced successfully. 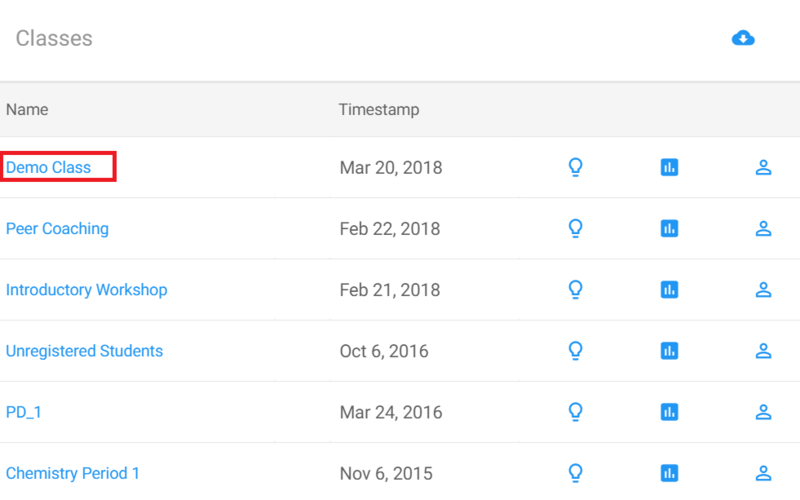 If this is your first time syncing data for this class, you should then navigate to My Classes to confirm that your class and students were successfully imported from Google Classroom. If you want students to access bulbs by logging in to PlayPosit, you can assign bulbs by clicking on My Bulbs from your Dashboard. You can refer to this help article for more information. If you want students to access bulbs from Google Classroom, click Share, then copy the given link and paste it into a Google Classroom Assignment. In PlayPosit, navigate to the Monitor tab to view student data.